I miss eBay Challenges something fierce so rather than curse the darkness I’ll ignite a spark plug. No one is paying me so you’ll get crappy writing like that. For under $10k, find an awesome looking and driving car from a legendary designer. There are more than you might think. 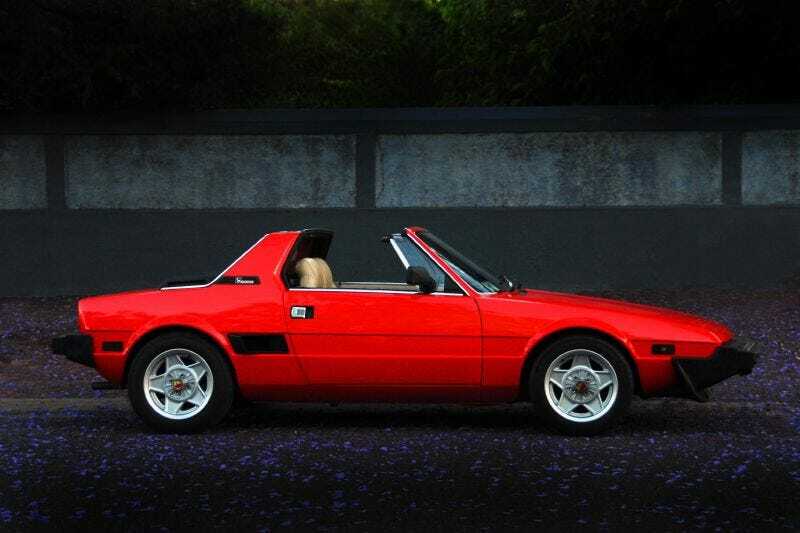 For example, between designing the Lamborghini Miura and Countach, Marcello Gandini managed to wedge in the Fiat X1/9, a lovely little mid engine targa top. If you’re looking at my screen name you can tell I’ve got I’ve got a car in mind and its not the Honda. Its my challenge so I’ll loosen up the rules and allow Autotrader, Craigslist, your uncle’s used car lot etc in addition to eBay. Multiple entries per post allowed :) Post a link and a picture. Tell us the car and the designer and what makes it special. I’ll get back to you with the 10 best.